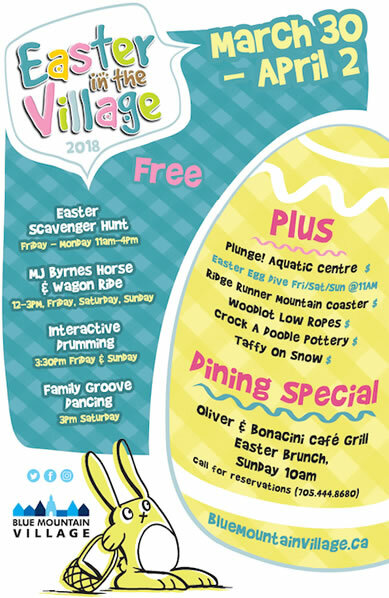 Pick up your Easter Egg Hunt form from the Town Hall Activity Centre and count the eggs that have been hidden in the store windows throughout downtown. Don’t forget to make a craft to take home and keep your eyes open for the Easter Bunny who will have treats for kids of all ages. 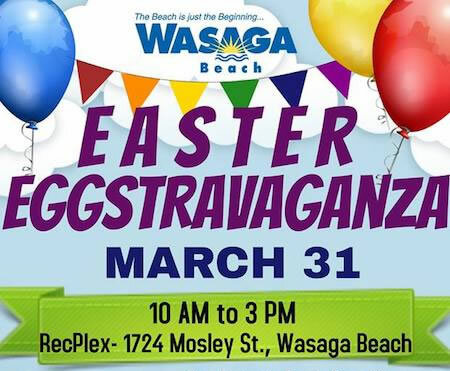 Make sure you don’t miss counting any of the eggs as there will be prizes awarded for boys and girls in all four categories. For more information visit Collingwood Downtown Website. Take a Plunge! for Eggs with the Easter Bunny! 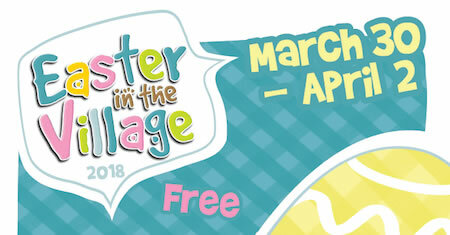 Stop by the Information Hut by BeaverTails to go on an Easter Scavenger Hunt through the Village! Saturday, March 31st starting at 11 a.m. until they’re all gone! 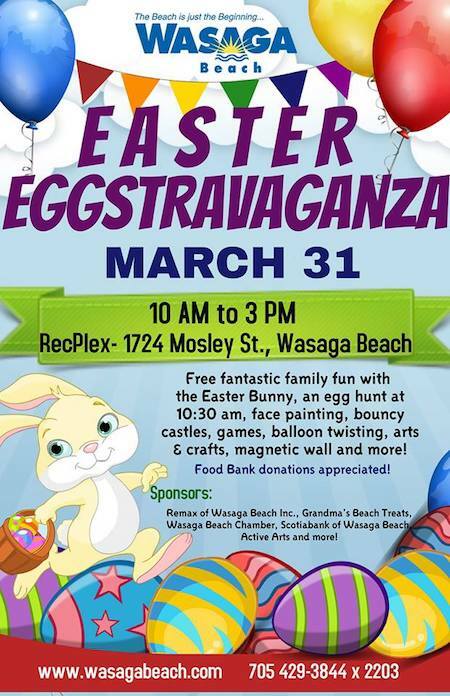 Easter Market at Station on the Green 9 a.m.
Meet the Easter Bunny on Mill St. 10 a.m. to 3 p.m.
Easter Egg Hunt at Creemore Horticultural Park 12 noon sharp, followed by crafts and activities along Mill St. Location: Oakview Woods/RecPlex, 1724 Mosley Street.